The Brooklyn is a great lively pub with traditional decor. The friendly bar staff make it really inviting. Here you can enjoy a great meal with huge portions and depending on the night stay for the entertainment provided. Smart casual dress code. No caps or hoods. Large beer garden set in woodlands. What did you think of The Brooklyn? This is definitely a great pub for the guys. I came here on a double date and the portions are very generous. My friend and I couldn't finish ours but it was delicious. for the price on a sunday its good, food is very nice you just get enogh meat, but for the price can't beat it. Love turkish chief who is always lovely to us x Good not over priced beer and nice staff. Always a clean place as well everywhere...may well spend my Christmas day there so must be good. 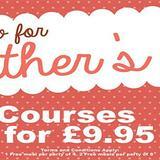 The food side has been taken over private now and the most you would pay for a good sized meal is £4.95. 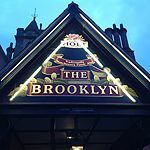 The Brooklyn is a lovely pub that we use on aregular basis. The staff and customers are very pleasant and friendly and there is usually music at weekend. However we recenbtly tried the food there anbd I have to say never again, my huisband ordered a starter of garlic mushrooms priced at a heftly £5.30 they arrived and it consiosted of 5 of the smallest mushrooms ever and a little bit of salad, not good value. I just ordered sandwiches on brown bread £6.40 it arrived on white bread oh well not to worry but they were dried up round the edges as if they had been under a heat lamp not enjoyable. Our friend had the lasagne which he said was very nice but at £9.40ish would have liked a larger portion he was still hungry. Ah well not to worry there are many good food places in Bolton we will go there in future to eat but will still drink in the Brooklyn as it is our favourite pub for socialising. the brooklyn has recently been refurbished and might i say to a very high standard. the new landlord and landlady seem to run a warm and friendly pub the food is gorgeous and there is a designated area for eating with children, the beers are always outstanding the landlord has been awarded with pub of the month in previous pubs by CAMRA and has had many write ups ...... if you haven't been in you must try it . they make everyone old or young feel safe and welcome. It is a must in the summer time as it has large grounds as it was originally a manor house dated back to 1859.